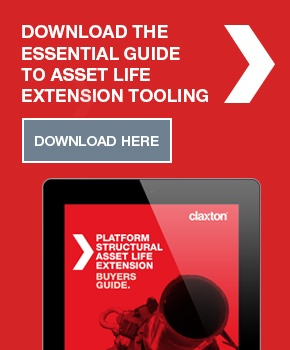 Claxton holds one of the largest subsea drilling riser stock inventories in the UK – with systems up to 12,200psi and a full inventory of supporting equipment. 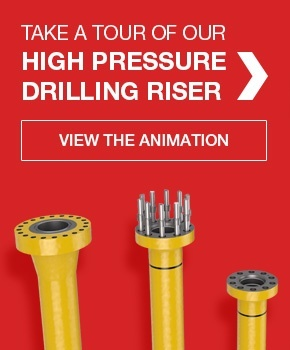 No other company in our region can supply the range of pressure, connection and tooling options that Claxton’s drilling riser supply capability offers. However our stock is not the only thing we supply. 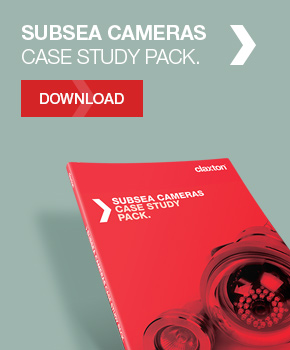 Claxton has been designing, building and running complete subsea riser systems since 1990 and our deep experience means we’re often able to meet the needs of challenging projects at short notice. 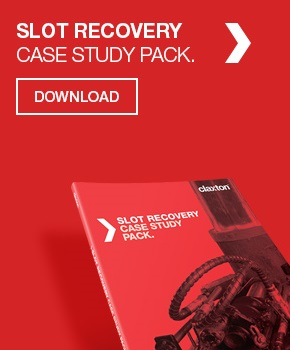 Our rental inventory provides multiple bore, pressure, and subsea connector options – so a Claxton drilling riser won’t just be what we have to offer, but a solution tailored to provide maximum operational benefit to your drilling campaign. A Claxton riser being run offshore – on this system we supplied a complete package of riser, subsea connectors, tension system and handling tools. 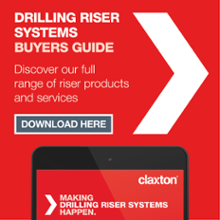 From individual drilling riser joints, through to complete riser systems with tensioning equipment, VIV suppression and subsea connectors, Claxton riser systems can meet the needs of your drilling campaign. Our subsea drilling riser systems are complemented by our comprehensive inventory of subsea connectors, H4 connectors, crossover adaptors, DSA flanges, hubs, lifting adaptors and bolting/gasket stocks. Our inventory is available for rapid mobilisation from stock and 100% back up can be supplied. We supply systems for pressures up to 12,200psi, with a variety of joint connection options, from flanges to quick-connect options, though to world-first shrink-fit technology. 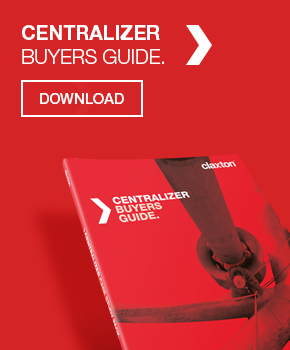 Claxton has long been a pioneer in riser tensioning equipment, supplying proprietary tension ring and system technology. We provide risers on sale or rental terms to suit the needs of your project. We also supply experienced crews to run the system offshore and often have 100% equipment back up. 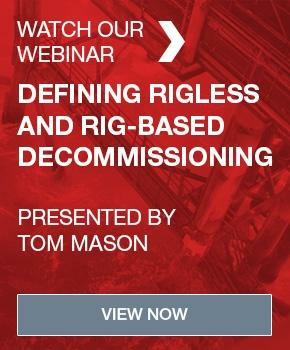 Our close relationship with the other riser specialists in the Acteon group, 2H Offshore and SRP means we have access to riser knowledge an expertise no one else can offer. For clients that prefer to hold their own equipment, we also provide a full design, manufacture and project management service – incorporating riser analysis and certification to the required specification. Our involvement in world-first HPHT 12,200psi riser technology clearly demonstrates how Claxton can leverage a deep understanding of riser design and application with world-beating effect.